The Rainbow Venues has announced the full line-up for its Chapter XIII event, which is set to take place on Saturday 15th April. 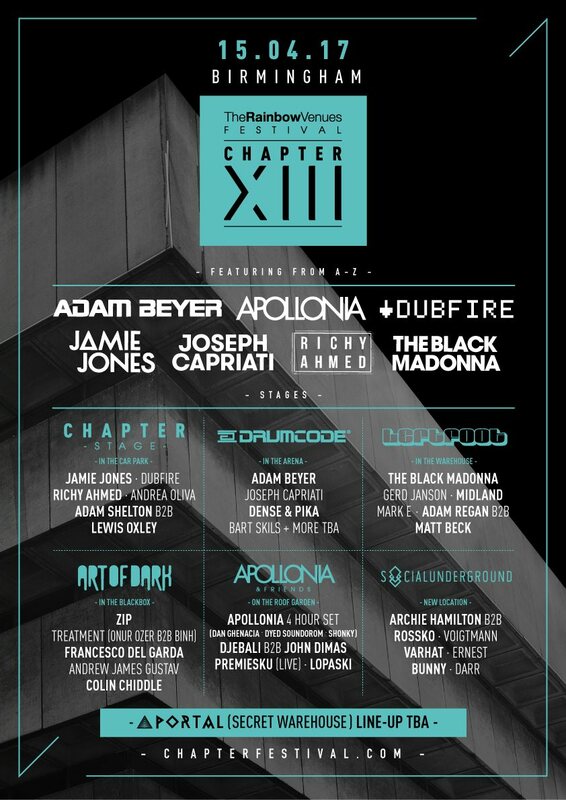 Adam Beyer, The Black Madonna, Jamie Jones, Apollonia, Zip, Midland, Treatment, Dense & Pika, Joseph Capriati, Dubfire, Gerd Janson, Mark E, John Dimas and Premiesku are set to spin, amongst many others. Influential labels such as Drumcode, Leftfoot and Art of Dark will host stages at this year’s event. You can check out the full line-up below and click here to buy tickets.